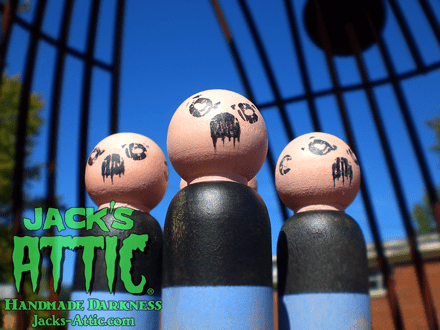 Jack’s Attic has returned from a brief summer sabbatical spent in the workshop refining our craft, conceiving new designs and instituting a new macabre curiosity we are sure will please. To usher in this new chapter in our development we’re introducing price cuts on all of our handmade creations. All pendants previously priced at $20 are now $15 and all $12 pendants are now $10. In addition to these price cuts we’re also proud to announce the latest additions to our dark art collection: Adam’s Revenge and Doug. 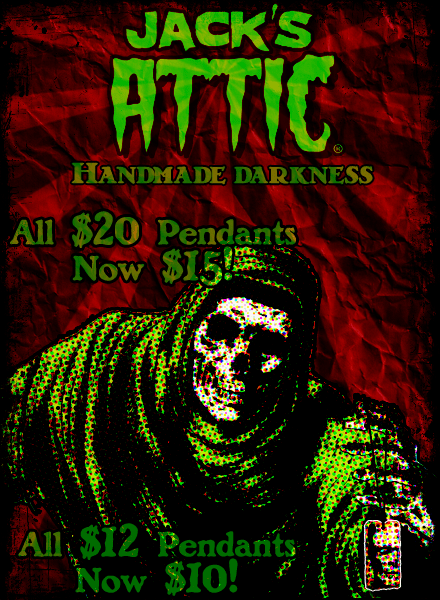 More information on these additions to our macabre collection of handmade darkness can be found below. 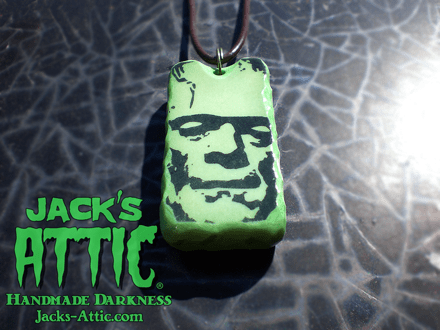 Adam’s Revenge is our latest handmade, dark art pendant design. 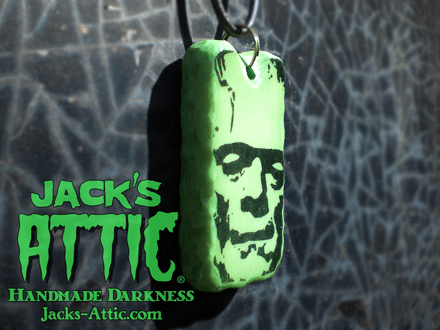 This new addition to our macabre collection is now available in our ArtFire Studio as well as our Etsy Shoppe for $15. “The old timers warned us about playing with the channeling board around Hallowe’en. In folk-magic and some forms of witchcraft, a poppet is a doll made to represent an individual, for the purpose of casting spells on that person. 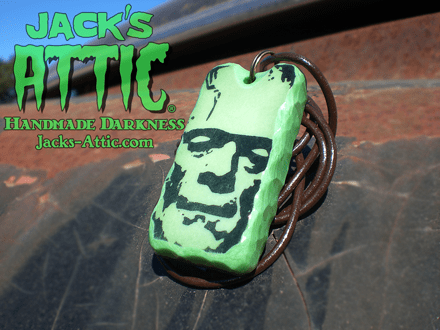 In a unique departure from our usual handcrafted jewelry creations, Jack’s Attic is proud to present our latest dark art offering. 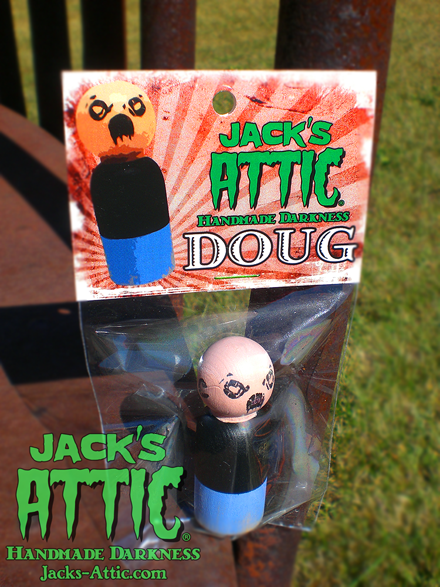 Doug is the first in a planned series of limited edition hand painted, primitive, wooden poppets. Each poppet measures approximately two (2) and 5/16 inches tall. 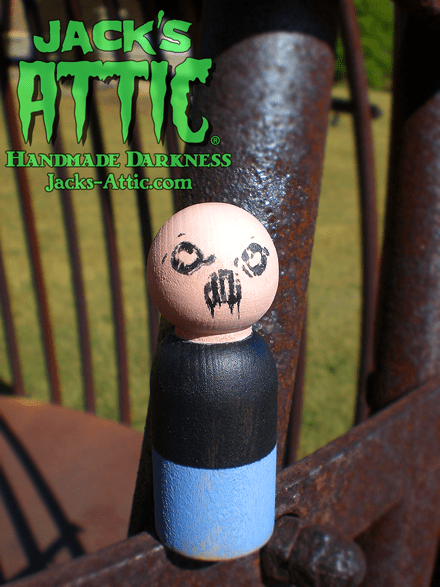 Limited to a series of only ten (10) pieces, each poppet is hand painted and distressed to create a worn and antiquated affect wholly unique to each figure. Packaged with a hand numbered and signed custom header card each piece also bears corresponding hand numbering as well. Five pieces (5) are available in our ArtFire Studio and the remaining five (5) are available in our Etsy Shoppe for $10 a piece.